So, on the 12th October I did a Snapchat and Instagram takeover for the Plymouth University Apply Twitter account (@plymuniapply) and it was a great experience! I had the opportunity to engage with students who were considering applying to Plymouth University next year, and to give them my personal view about what Plymouth is like and what I got up to as a 2nd year student. The main highlight for the day was going to a Peninsula Art Gallery event, called “Alice in Wonderland’s Mad Hatter’s Tea Party”. 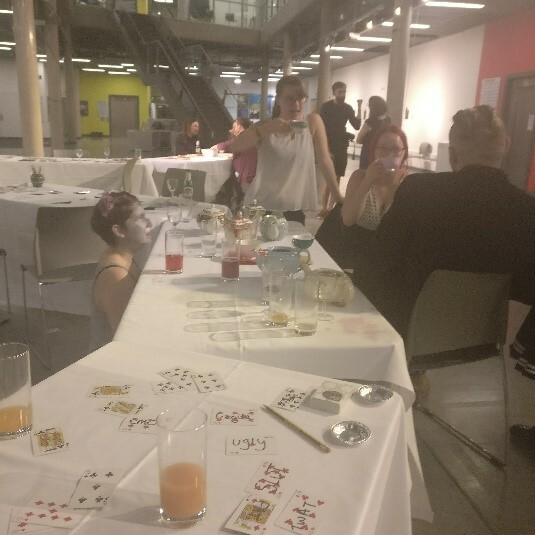 The event consisted of refreshments and activities that we could participate in. I personally really liked the fact that there were actors who played the Mad Hatter, Dormouse, March Hare and Alice. It truly felt like I was at a tea party and it was really exciting to have the opportunity to interact with the characters. The actors were great and made the experience of being in Wonderland magnificent. The event started out quite slow, not many people were there, but as time went on a lot more people started to arrive and chatted with each other. 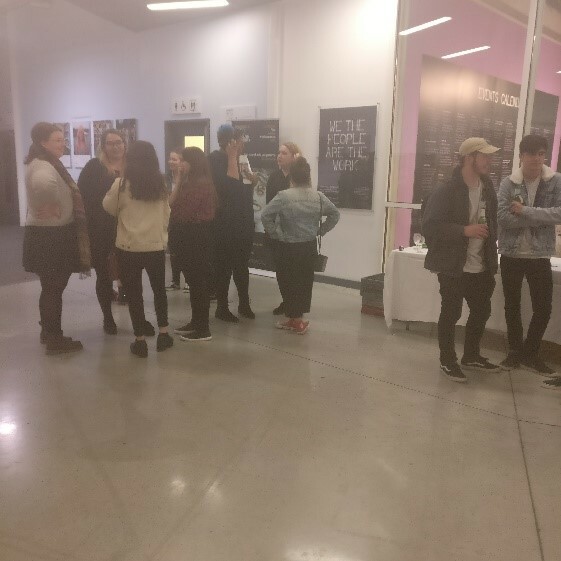 I got to meet some people who do Art History and other students who don’t even do an arts degree, who were really intrigued by the event due to its wacky nature and what it offered those who attended. 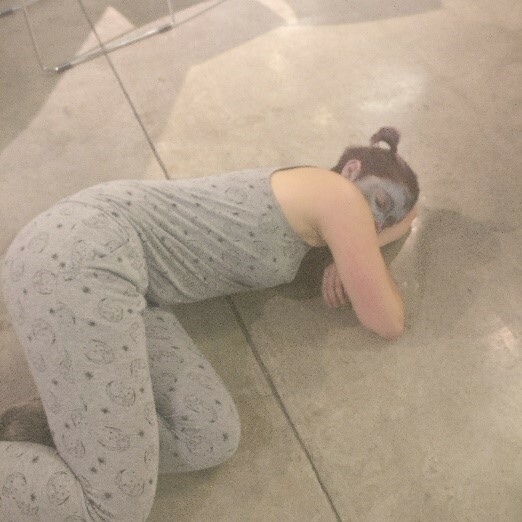 I had some refreshments and had the opportunity to socialise with the characters and a few other people, while videoing and taking pictures of the event for Snapchat and Instagram. Overall, I found the event fun, I loved having the chance to meet new people and interact with the characters. 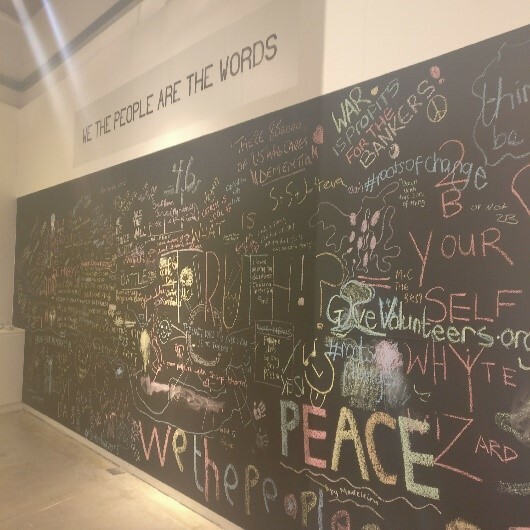 Wonderland was not the only exhibition taking place in the Peninsula Art Gallery, there is also a bigger and interesting exhibition, “We the People are the Work”. 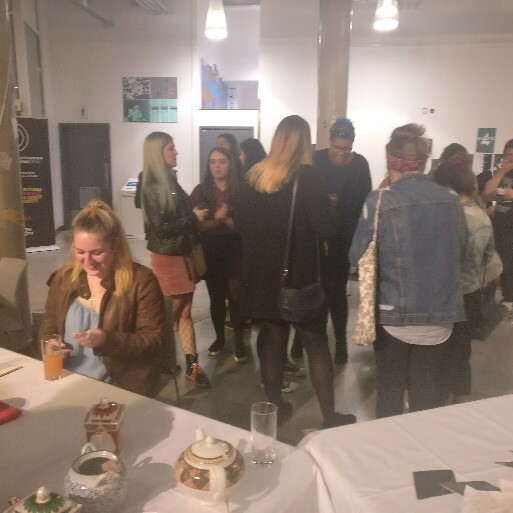 This exhibition builds connections and collaborations between people of Plymouth and artists around the world. It questions the engagement between politics and identity with different artworks, as well as how it shapes society.